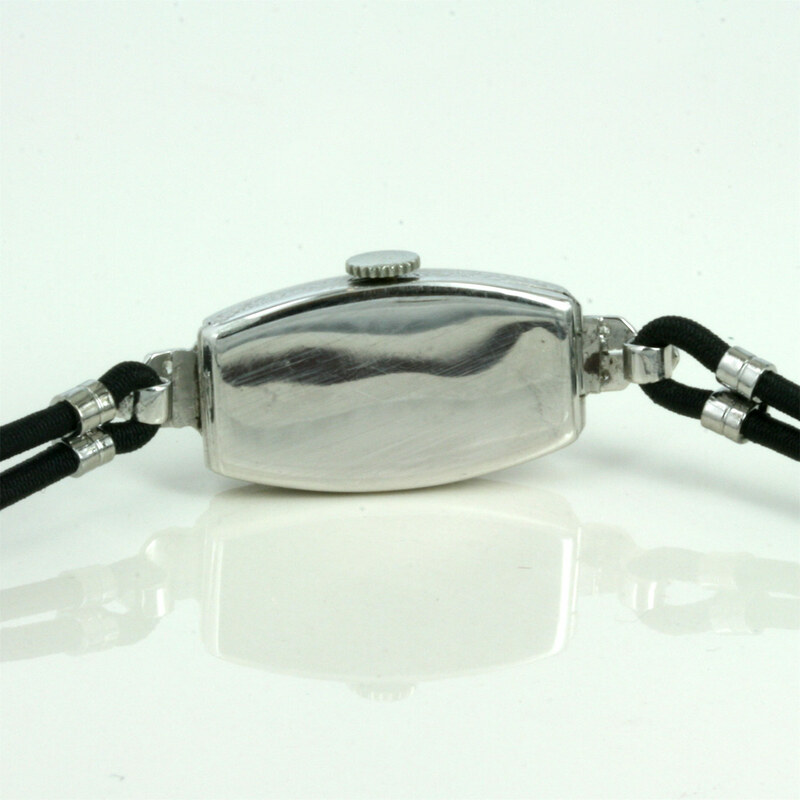 Product code: 1471 Categories: Sold Items, Sold Omega Watches. Is this not one of the most beautiful examples of a vintage diamond set Omega watch around? 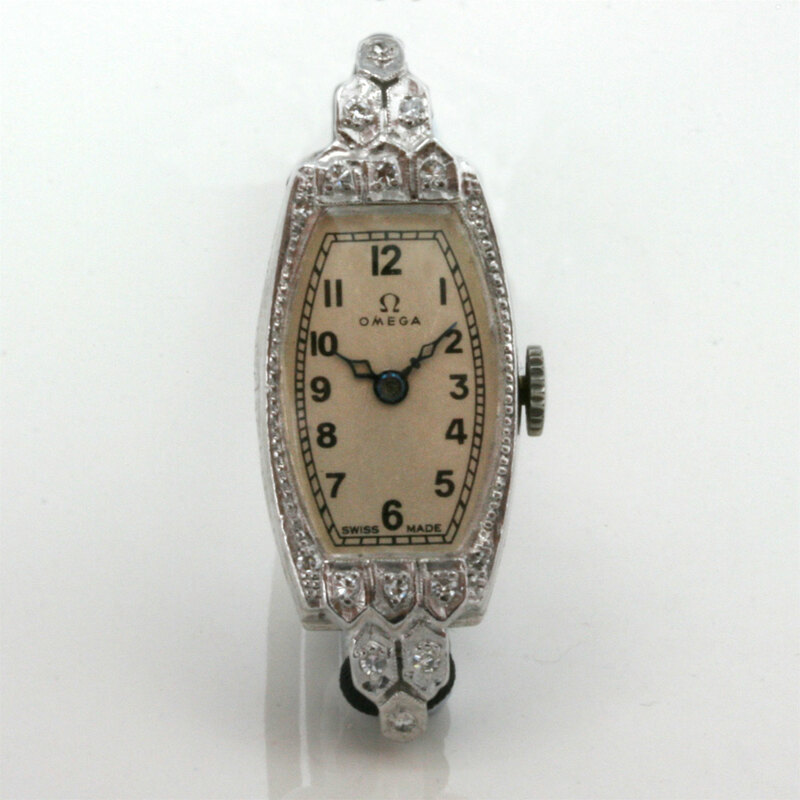 Made in 1935, this ladies Omega is made in a 18ct white gold and platinum case, with such fine engraving on the side and set with 16 diamonds. The case measures 13mm (plus the crown) x 25mm (or 39mm right to the very end), and looks so elegant on the wrist. The dial has been repainted to such a high standard, and the hour and minute hands look superb. Inside, it is fitted with a 15 jewelled manual wind Omega calibre T12.6 TI movement, meaning that the movement is a stunning 12.6mm wide, and of course this has been serviced and runs perfect. Vintage Omega watches are always popular, and this is one of the most beautiful around.